Nevada is much more than Sin City, Las Vegas. There are many facets of Nevada that are family-friendly. The state appeals to multiple generations. Plan your visit to Nevada. This form of vehicle transportation is often the most popular option by our customers. This option provides a reasonably priced and relatively quick way to get your car to its destination. In open auto transport, your car will be loaded onto a large car carrier that can hold between six to nine vehicles. This way of transportation does not shield your car from the elements of the road or weather conditions. However, it remains a safe and affordable car transport option. It is the fastest option, because it is more readily available and in a high demand. Learn more about open auto transport. This transport option is a little bit safer than open auto transport because it shields your vehicle from road conditions and the weather. However, it does cost a little bit more in comparison to open auto transport. This option may include a few additional features such as hydraulic lifts, safety straps, and drop floors, depending on the transport carrier. This car transport service is often recommended for individuals who are shipping high-valued vehicles. Learn more about enclosed auto transport. This option is for those who want to make the car transport process more convenient and easier. With door-to-door shipping, your car will be picked up directly from your home and will be dropped off at its destination in a timely manner. This eliminates the need to drive to a transport terminal for the pickup of your vehicle. This saves you precious time that can be used to explore your new surroundings. Learn more about door-to-door car transport. Below you will find several cities and attractions that you should be sure to check out. Regardless of how long you find yourself in Nevada, these attractions will be sure to bring you a fun time. This is no doubt the most popular tourist destination in Nevada. The Las Vegas Strip, alone, could entertain you for weeks on end. Between all the casinos, night clubs, restaurants, bars, shows, and attractions you are in for a whirlwind of fun. 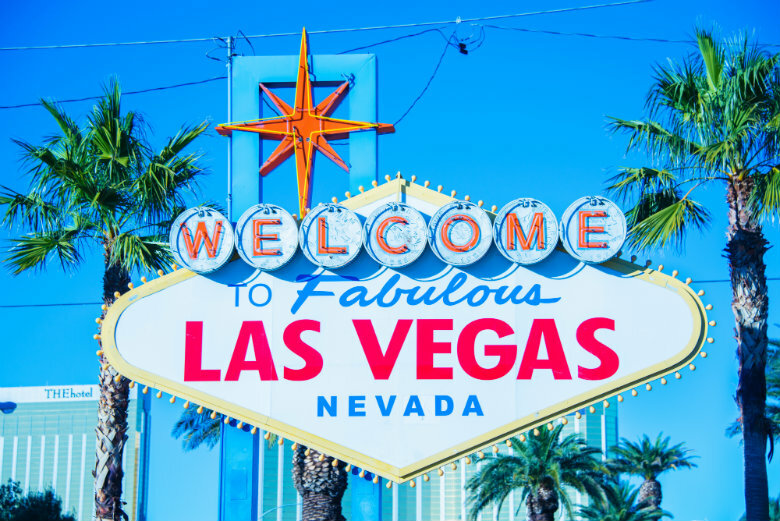 You can enjoy a gondola ride at the Venetian, go to the top of the Eiffel Tower at the Paris, shop at Caesars’ Palace, hop on a pirate ship at Treasure Island, and watch the 1,200 dancing fountains at the Bellagio. Read more on Las Vegas. Carson City is Nevada’s State Capital and provides guests with several types of attractions. History buffs can enjoy the rich history that is shared on tours at the Capitol Building and the Nevada State Museums. People who love trains should check out the Railroad Museum and take a ride on the train. Outdoor enthusiasts will enjoy the several different outdoor attractions, such as hot air ballooning, hang gliding, skiing, and golfing. This is also a great city for people who love the arts. Carson City offers several different exhibitions, theatre productions, and outdoor music events for artists of all kind. Read more on Carson City. Boulder City is a quaint town that is minutes away from the Hoover Dam, a great historical landmark. It is a great place for people who want to get away from the wildness of The Strip to seek a calmer environment. However, calm does not mean boring. Boulder City offers several different activities, including shopping at boutiques on Main Street, zip lining, museums, and gliding adventures. Read more on Boulder City. For people who are more into the beach scene, Sand Harbor is a great option. 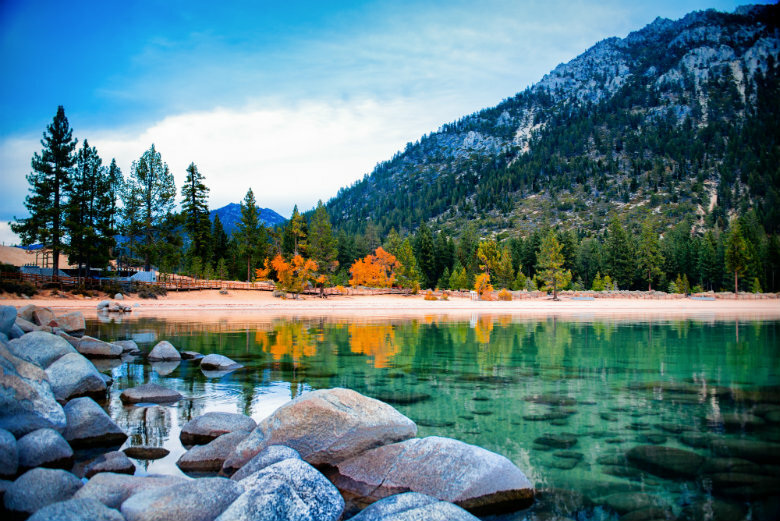 It is three miles south of Incline Village and sits along the shore of Lake Tahoe. Sand Harbor is 55 miles of a beach enthusiasts’ paradise. Guests can enjoy boating, jet-skiing, swimming, scuba-diving, and snorkeling. The crystal clear waters and beautiful rock formations make for a fun underwater scene. Read more on Sand Harbor. Tonopah, Nevada is a great destination. It is one of America’s best stargazing destinations. Even more than that, it provides you with a unique experience to see what it was like to be a miner back in the good old days. At the Tonopah Historic Mining Park, you will be given the chance to see restored and reconstructed mining equipment and take an underground tour of the mines. If you are more into hiking, there are 41 trails that will take you on your own journey. To continue your journey of learning about the old mining culture, we highly recommend stopping by Rhyolite Ghost Town. The existence of this town started back in 1904 when gold-bearing ore was rich. The town lasted for six or seven years. During that time, it became a central hub for people of all places. It was thriving and bustling with people who were hoping to become rich off of gold. Now, the town is dead. However, you can walk through the buildings and see how miners thrived and lived. The city used to have a large bank, a stock exchange, two schools, 45 saloons, an opera house, and two railway depots. Learn more about Rhyolite Ghost Town. For all of you conspiracy theorists and alien lovers, Area 51 is the place to go. Area 51 is located near Groom Lake and has made a name for itself. It is kept on a strict lock-down. It is run by the United States Air Force, which leads people to believe that there may be aliens or UFOs inside the facility. If you want to catch a glimpse of the facility, you are welcome to hike to the top of Tikaboo Peak which sits 26 miles away from the facility. This is the closest legal viewing point. You can also take a drive on the “Extraterrestrial Highway” which is a portion of State Route 375, which is filled with amusing alien-related road signs. If you are in need of car transport services to or from the Nevada area, contact National Dispatch. We are a nationwide car transport company with a company-owned fleet. We ship vehicles to both individuals and corporations. Request a free, instant car transport rate today. No personal information is required. You can also contact us by phone at 800-321-2051. Check out our Slideshare presentation on Nevada, as well.